The Chemin de Fer due Sud de la France station, commissioned in 1892, benefited as early as 1899 from a 960 m connection to the PLM network. 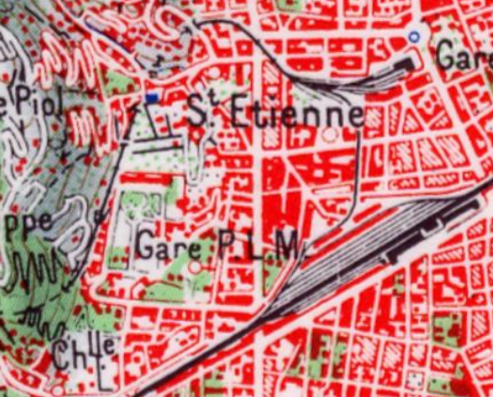 The route of the connection is shown on the 1958 map of Nice below. La Gare due Sud is the more northerly of the two stations shown on the map. Somewhere along Rue des Combattants en Afrique du Nord or Rue Alfred Binet, Nice – 1963 – © JH Manara. 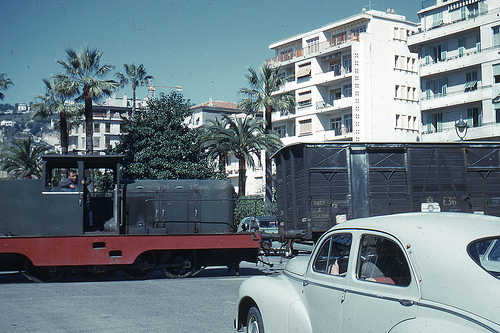 The same locomotive operating on street between the two railway stations in Nice – © JH Manara. The same locomotive again, operating between wagons on the link between the two stations. 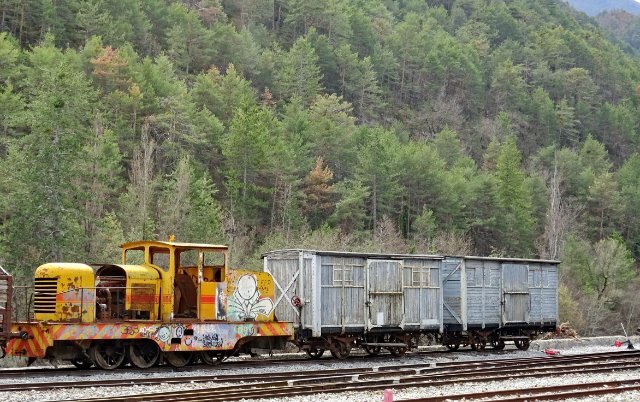 The connection between the CP and SNCF networks was established as dual-gauge line so that normal track wagons could be towed by metre-gauge shunters. In the late 1950s and early 1960s, the passage of freight trains in the middle of the street began to pose a problem with regard to traffic. I have only been able to find a few images of the line in use, taken, I think in 1963 by the same photographer, although available on the internet from different web sites. 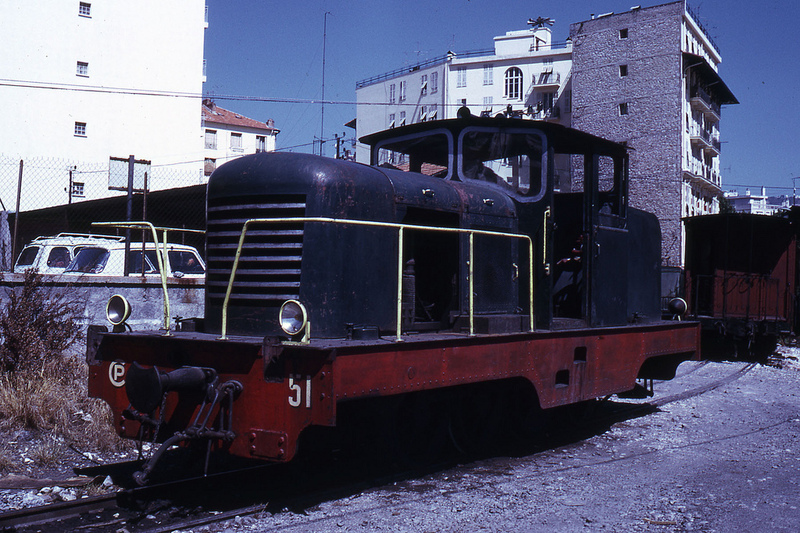 CP51 appears to be an 0-8-0 diesel shunter and seems to have had a long life on the Chemin de Fer de Provence. 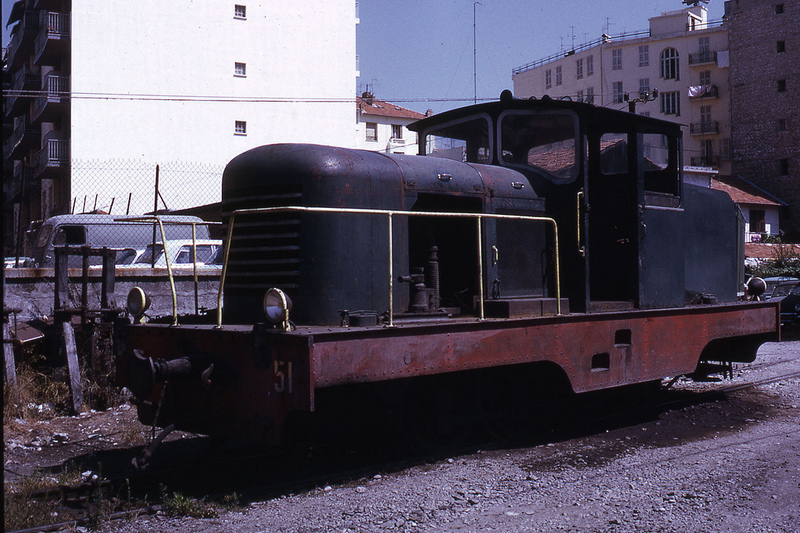 It was converted from a steam locomotive in 1948 and given the loco number 51. The work was done by the CFD workshop in Montmirail. 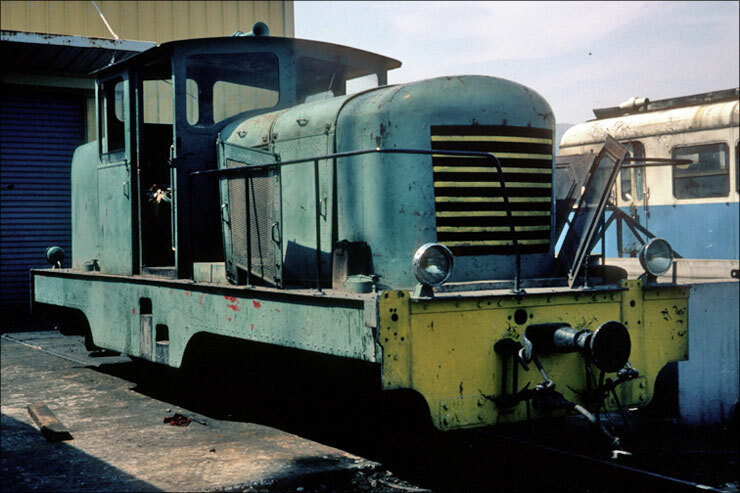 In these CFD conversions, power was transferred from the diesel engine via a mechanical gearbox that drove one axle. The remaining axles are connected to the drive axle via the coupling rods. 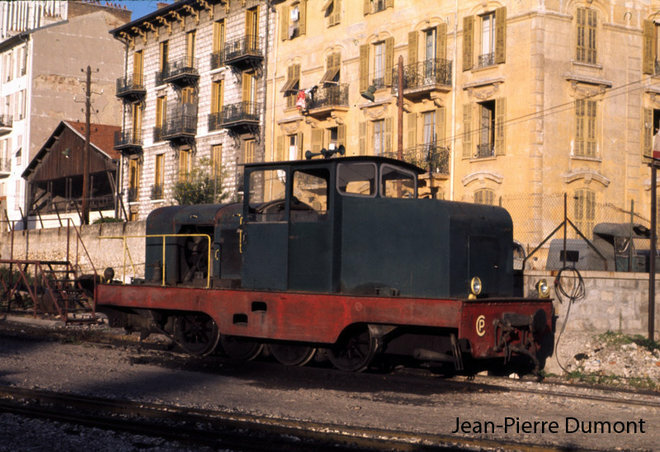 The loco was mainly used for traffic between la Gare du Sud and the SNCF station, for the transfer of freight wagons. 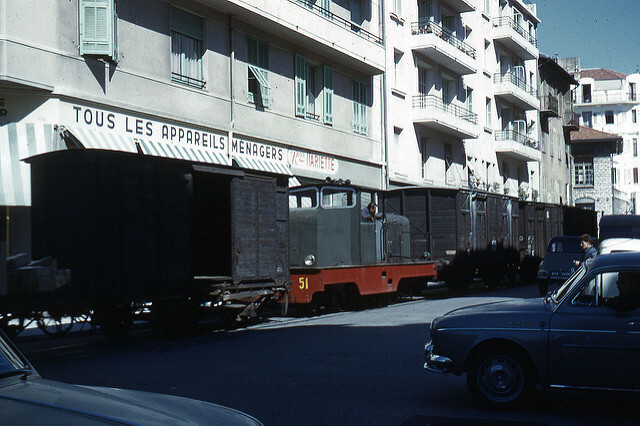 From 1970, the vehicle was moved to Digne and shunted wagons at the station there. 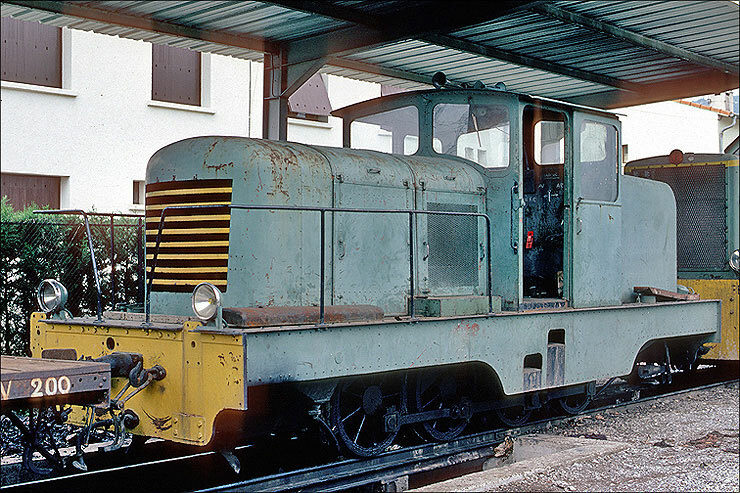 From 1978, the locomotive was used for construction trains and was eventually set aside at Lingostière after an engine failure in 1987. In 2010 it was still in the sidings at Lingostière. 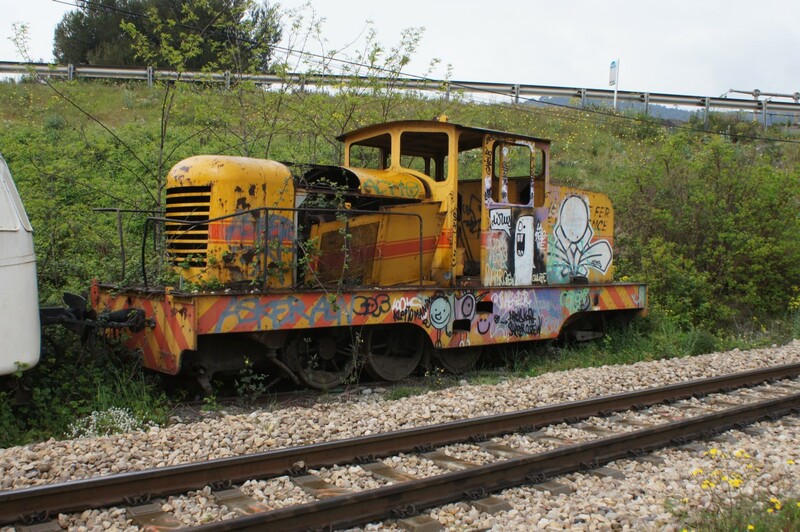 Transport Rail Blog, Les Chemins de Fer de la Provence; http://transportrail.canalblog.com/pages/les-chemins-de-fer-de-la-provence/33191846.html#, accessed on 11th April 2018. © All Rights Reserved, http://www.flickriver.com/photos/jhm0284/5344188762, accessed on 23rd April 2018.
http://www.passion-metrique.net/forums/viewtopic.php?f=6&t=7790&hilit=locotracteur+cfd&start=240, accessed on 23rd April 2018. Tyrphon, Jean-Pierre Dumont; http://www.passion-metrique.net/forums/viewtopic.php?f=6&t=7790&hilit=locotracteur+cfd&start=240, accessed on 23rd April 2018. File:CP-51-débris Lingostière 04-2014.jpg; https://commons.wikimedia.org/wiki/File:CP-51-d%C3%A9bris_Lingosti%C3%A8re_04-2014.jpg, accessed on 23rd April 2018 and translated from the German text of the website. 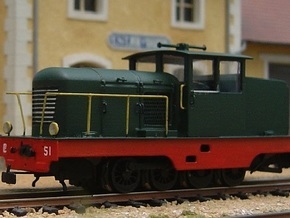 http://www.le-rail.ch/bild/Bilder/CP/CP-51-1980.jpg, accessed on 23rd April 2018.
http://www.le-rail.ch/bild/Bilder/CP/CP-51-1981.jpg, accessed on 23rd April 2018.
http://www.le-rail.ch/text/aktuell27.htm, accessed on 23rd April 2018. Photograph taken by ‘La bête de Calvi’ on the Passions Metrique et Etroite Forum; http://www.passion-metrique.net/forums/viewtopic.php?f=2&t=4143&sid=71f9e15a23794923765a790b153b2cc8&p=416169#p416169, accessed on 25th April 2018. 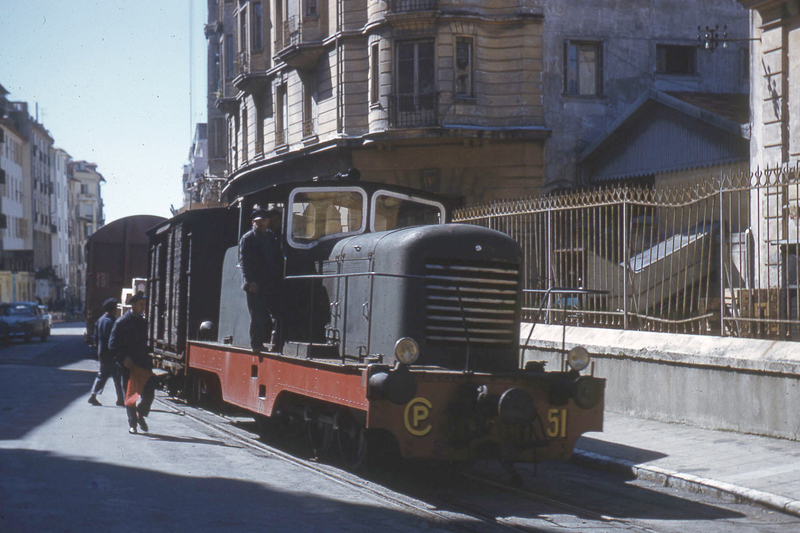 This entry was posted in Railways and Tramways Around Nice, Railways Blog on April 12, 2018 by rogerfarnworth.